Whether it's summer or winter, some extra body care can do you no harm. As a matter of fact, timely skin care can stop the dreaded march of time on your face, neck and body. It can get rid of the ugly dead winter skin that makes your feet and arms feel like coarse scrubs. It can reverse the effects of sun exposure. An invigorating full body scrub can cleanse your pores of oil, dirt, grime and shaving bumps. It can make your skin baby-soft and can literally make you glow with life. 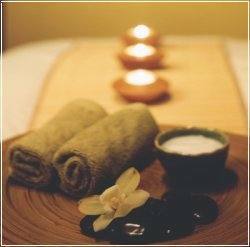 Most importantly, a spa body treatment can restore the moisture balance in your body making it supple and smooth. Remember, after the age of 20, your body needs all the extra help it can get. Below you will find simple step-by-step instructions for spa-related activities. How to Understand Different Kinds of Spas: While spas have typically have the goal of improving your well being through pampering, relaxing, and rejuvenating treatments or lifestyle or fitness programs, different kinds of spas serve different purposes. Find out how to tell the differences so you can choose the right spa for your goals.